My life is peculiar. My experiences distinct yet varied. As a Christian, I feel just as uncomfortable in one circle as I do the next. And as I go about my days torn between a handful of evangelical worlds, I’m often saddened by what doctrine has done to us. What good doctrine has done to us. See, we have a Book which reveals truth. And we have a million and one ways, in this technologically-advanced world, to soak up the the doctrines which make up that truth. Rightfully, those doctrines become important to us and shape our living. We take these doctrines, and we form churches based on them. We read and ponder and discuss these doctrines into the wee hours of the night. We start with the gospel where there is no grey, but we soon find ourselves taking sides on every little jot and tittle of the Christian life. And sometimes it seems that the more truth we learn, the more divisive and unloving we become. The helpful discussions become unhelpful debates, and the church becomes a gigantic soapbox on which we push our particulars to the enth degree. The next thing we know, the church is full of people who are just like us. Our circles become smaller and more defined, and we form friendships with carbon copies of ourselves – people who can’t sharpen us or help us grow because we’re glued to the same page. In the name of “good doctrine,” we make enemies out of anyone who shares a different opinion. The gospel loses its place, and brothers and sisters in the faith get pushed to the sidelines. Where is the genuine fellowship between the Arminian and the Reformed? 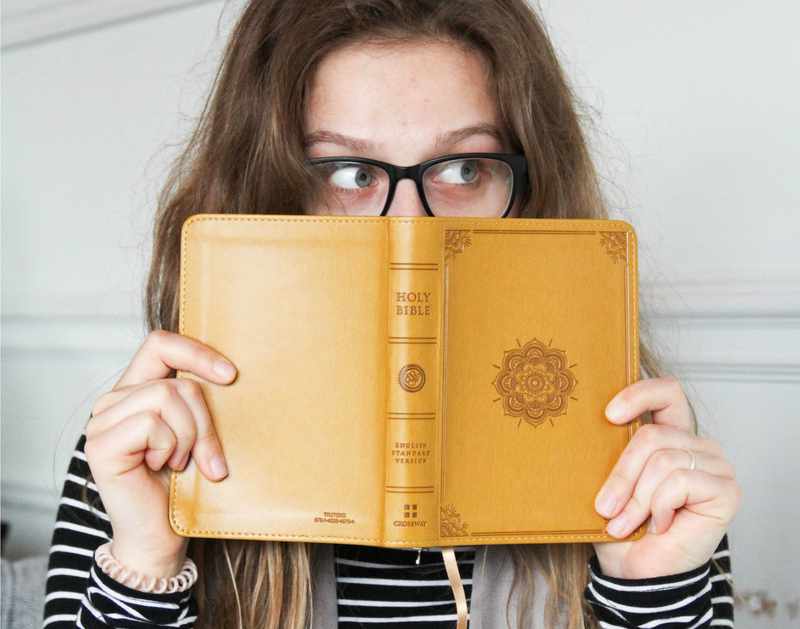 The KJV-only church and ESV lover? Mega church member and Mennonite? Modern worshiper and Liturgical? Amillennialist and Premillennialist? This is what good doctrine has done to us. It has made us so correct, we have no need to learn. It has made us so self-absorbed, we have no need of people. And it has made us so holy, we have no need for God. See, we have a Book that reveals truth. And yes, that Truth does some dividing, but it also does some uniting. It unites us around the cross, and it reminds us of the bigger picture. It shows us that no one has their doctrine just right, and we are all in need of grace. It presses us to learn more so we can love more. And it causes us to see that, more important than knowing good doctrine is knowing our good God. Very good article. I just got done reading the book Irresistible by Andy Stanley which talks about this very subject. He talks about the alarming rate of milleniels leaving the church because of this very issue. It all comes down to one main point Do we believe in the resurrection of Christ and what he did for us?